The organization that was to become the University of Texas Institute for Geophysics was established in 1972 when Maurice Ewing, one of the 20th century’s most notable Earth scientists and a native Texan, returned to his home state. Ewing, who also founded the present-day Lamont-Doherty Earth Observatory of Columbia University, established and served as the first Director of the Earth and Planetary Sciences Division (EPSD) of the Marine Biomedical Institute (MBI) at the University of Texas Medical Branch (UTMB) in Galveston. During his lifetime, Ewing used explorative geophysics to lead the world into the post-World War II era of global research in ocean basins. By the time of his death in 1974, EPSD had become an established center of lunar and seismology research and had initiated the first academic program in marine multichannel seismic research. The autobiography of J. Lamar Worzel, a former student of Ewing’s who served as acting director after Ewing’s death, provides more details of the events at this time. Building on this solid foundation, the University of Texas Board of Regents developed a plan to promote advanced research and teaching programs in areas related to the state’s natural resources, particularly the coastal zone. 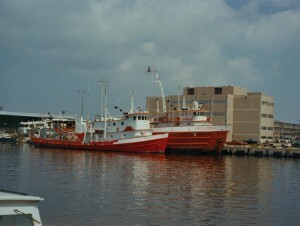 To facilitate this plan, the Division was renamed the Galveston Geophysics Laboratory (GGL) and was united with the Port Aransas laboratory to form the Marine Science Institute (UTMSI) of The University of Texas at Austin in 1974. Creighton A. Burk, formerly Chief Geologist of Mobil Oil Corporation, served as UTMSI Director, while Worzel acted as Director of GGL. Burk was succeeded by Peter T. Flawn for a brief period and later by J. Robert Moore. 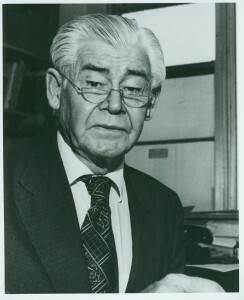 Following Worzel’s retirement in 1979, the GGL was administered more directly from Austin, with responsibility for scientific leadership in Galveston falling to Associate Director Gary V. Latham from 1979 to 1981. Maurice Ewing Hall, located in Galveston, was home to the Galveston Geophysics Laboratory of the Marine Science Institute. 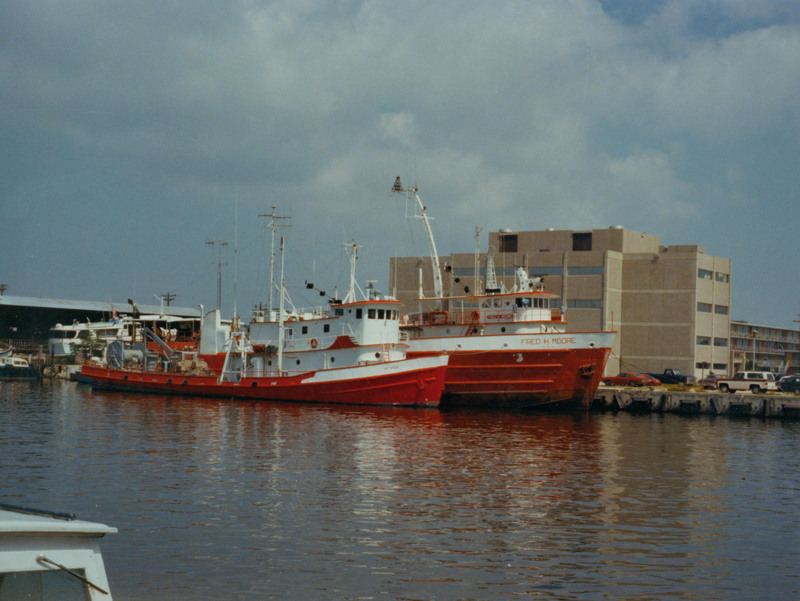 The research vessel Ida Green is shown moored in front of the building. 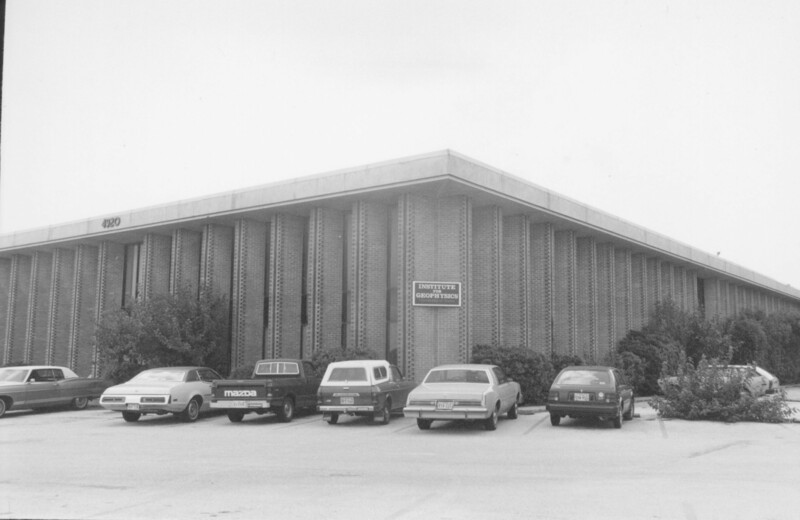 In 1982, to promote closer interaction with the Department of Geological Sciences (DGS) and to augment its role in graduate education, the Laboratory was renamed the University of Texas Institute for Geophysics (UTIG) and moved to Austin. Arthur E. Maxwell assumed the directorship. Maxwell had made his mark in the annals of Earth science by serving as co-chief scientist of Leg 3 of the Deep Sea Drilling Project (DSDP) in 1968. Led by Maxwell, the scientists on DSDP Leg 3 confirmed seafloor spreading and thus substantiated the now widely accepted hypothesis of plate tectonics, an accomplishment that has been called the most significant discovery in the history of scientific ocean drilling. DSDP Leg 3 also led to the validation of the paleomagnetic time scale, giving geophysicists a powerful tool for estimating the age of the ocean floor. Between 1982 and 1994 UTIG expanded its role in marine geophysics and seismology, and developed major research programs in polar regions, particularly Antarctica and the southern Oceans. UTIG’s first rental facility in Austin was located on IH-35 at the end of the East-West runway of the former Austin Mueller Airport. The building served as UTIG’s home from 1982-1986. In 1994, Maxwell retired as Director and was succeeded by Paul Stoffa, who also holds the Shell Distinguished Chair in Geophysics in the Department of Geological Sciences. Stoffa is a marine seismologist with expertise in multichannel seismic acquisition, the use of parallel computers in seismic processing, and the modeling and inversion of geophysical data. Under Stoffa, UTIG’s scope broadened even further to include a wider range of geophysical projects and a program of educational outreach. UTIG became part of the Jackson School of Geosciences in 2001 when the school was first formed as part of the College of Natural Sciences. The Jackson School was elevated to college level in 2005 and consists of UTIG, the Bureau of Economic Geology and the Department of Geological Sciences. In January of 2007, UTIG moved into its home at the University of Texas at Austin’s J.J. Pickle Research Campus in north Austin. After leading the Institute for Geophysics for 16 years, Stoffa stepped down as director and returned to full-time research. Terrence Quinn, who also holds the Weeks Professorship in the Department of Geological Sciences, was named director in August 2009. Quinn’s research focuses on the marine aspects of Earth system history using the geochemistry of sedimentary archives to investigate past climates of the planet. Under Quinn, the research staff and research portfolio of UTIG has diversified and expanded, while maintaining core excellence in expeditionary-scale research programs. UTIG scientists are currently leading large-scale scientific programs in energy geosciences in the Gulf of Mexico, polar and planetary geophysics of the ice caps of Earth, Mars, and Jupiter’s icy moon Europa, marine geology and geophysics of Earth’s subduction zones, and the dynamics of Earth’s climate.